8 Nov 1989 - Margaret Thatcher Speech on Global Environment to United Nations General Assembly Many people's first exposure to climate science was when they saw Al Gore's An Inconvenient Truth. Gore took a topic that was beyond most people's comprehension and made it easy to understand. Back in 1988, however, it was a different politician who put the science of climate change firmly on the global agenda. Unbeknownst to many, that person was Margaret Thatcher. As a Fellow of the Royal Society, Britain's national science academy, she presented a series of high profile speeches on the topic of climate change. Armed with a degree in chemistry from Oxford, her scientific expertise enabled her to speak from a position of strength and knowledge about climate-related issues. She used that knowledge to act as a champion for the Intergovernmental Panel on Climate Change, and personally opened the Hadley Centre for Climate Prediction and Research (the UK's foremost climate change research centre). Margaret Thatcher and her environment secretary Nicholas Ridley did more than anyone in the last 60 years to put green issues on the national agenda and swell the membership of groups like Friends of the Earth. "Things really took off during Mrs Thatcher's short-lived green period. 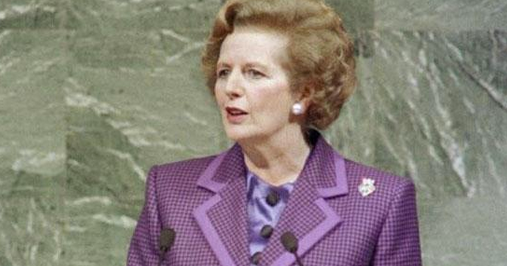 From 1987/1988 when she started to talk about the ozone layer and acid rain and climate change, a lot of people who had said these issues were for the tree- hugging weirdos thought, 'ooh, it's Mrs Thatcher saying that, it must be serious'. "She played a big part in the rise of green ideas by making it more accessible to large numbers of people. Nicholas Ridley was one of the best recruiting sergeants we ever had. He was always on the wrong side of the science and public opinion. We always had a fantastic response every time he talked." Video put together for the MSc in Environmental Technology at Imperial College London.